I recently redecorated my office in celebration of my pet cat, covering a wall with several sheets of customized wrapping paper. The row of sheets already looks like a permanent fixture, something that was fated to adorn the office, but in fact, the project might have been thwarted any number of times—a troubling notion, but one that provoked some thoughts about the origins and flow of creativity. After selecting a vendor and a pattern template, I had to settle on an image of my cat. 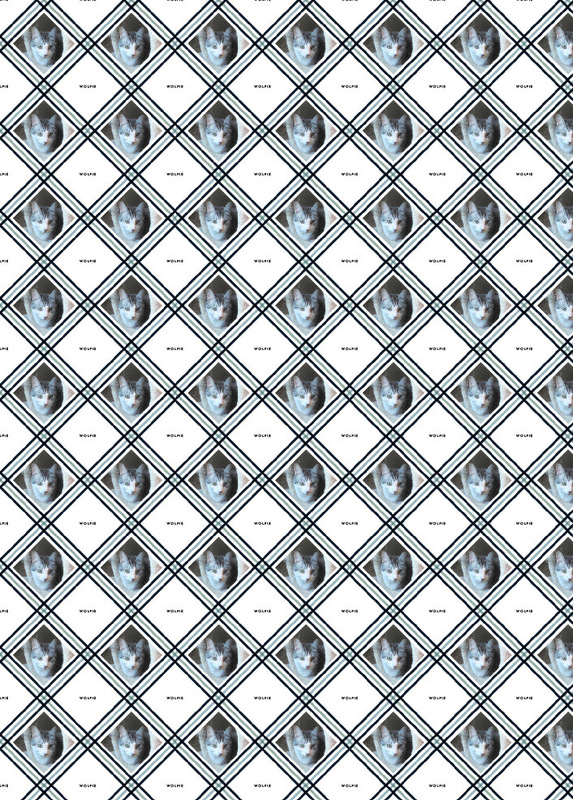 Looking at the design now, it’s impossible to imagine another photo in place of the one I chose. But in fact, this was not my first pick. Circumstance eliminated the early favorite, as the angles of the template’s photo zone cropped out important features of my cat. Not so with the final selection; here, he’s the center of attention. This piece of office décor is almost an accident of history. You could call this the waterfall of creativity—a series of successive decisions informing one another, each made within a distinct set of limitations. But my cat-paper project happened in a very short time frame, essentially for an audience of one. The inspiration behind a graphic novel is even more winding and complex. Inspiration can come out of the blue, striking like a lightning bolt from the subconscious, but I’d rather cultivate the ground with as many lightning rods as possible to ensure I’ll get a strike when I need it. 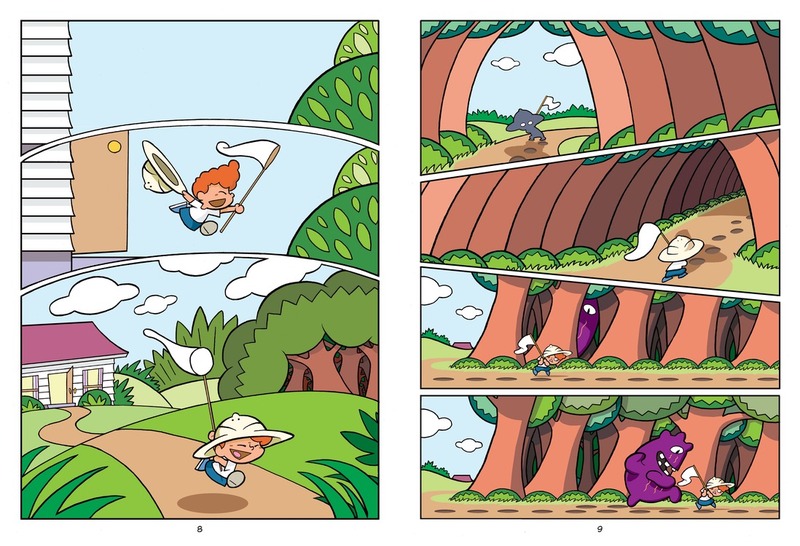 Even as a young cartoonist, wordless comic strips like Henry and The Little Kingintrigued me, along with the wordless, multi-panel sight-gag cartoons created by Don Martin and Sergio Aragones for MAD Magazine. So I had a familiarity with and affinity for the material. That’s important, because rather than creating something from a whole cloth, I was building on the visual storytelling tools introduced to me by others. Sometime in the ’90s, I was made aware of a wordless children’s picture book from the ’80s called The Snowman by Raymond Briggs; it’s a classic. That awareness of a potential market for wordless sequential art (comics) storytelling in children’s publishing, added to my ’80s tenure as a writer and designer in publishing at The Walt Disney Company, made me suddenly aware (yes, quite suddenly, like the lightbulb turning on) that there was an entire market out there that remained mostly untapped. As a creator, I loved this. Commercially, as a writer, editor, designer, cartoonist, and graphic novel book packager, I was uniquely positioned to mine this still-fresh market niche, not unlike the ones who discovered gold at Sutter’s Mill in 1848. In developing The Bramble [Lee’s wordless picture book collaboration with artist Bruce Zick] and the Game for Adventure series, beginning with Andrew the Seeker, I started with a pretty boring but necessary question: what do kids do? “They play games,” was one answer. Because just showing the games being played normally would be pretty boring, I added fantasy components, like the other world and the creatures in it for The Bramble(which features a game of tag), the kid, Andrew, and friendly creature he can’t find in Andrew the Seeker (hide ’n’ go seek), and the other fantasy landscapes of future books in the Game For Adventure series . . .
Those future books are coming in fall of 2017 and spring of 2018. 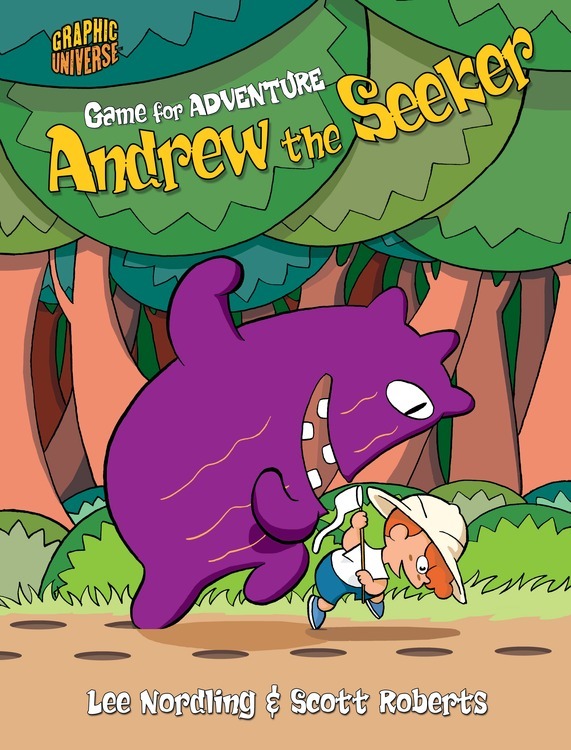 In the meantime, check out the gleeful game-play of Andrew the Seeker!